Whether you’re looking for countertops for a new home or a remodeling project, we make it easy to find the perfect match with materials for every decor and budget. 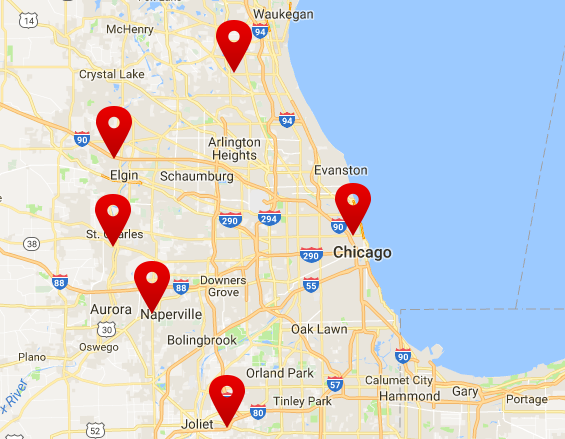 Chicagoland Countertops by Seigle’s has a large selection of the best in countertop surfaces including granite, Corian and quartz. 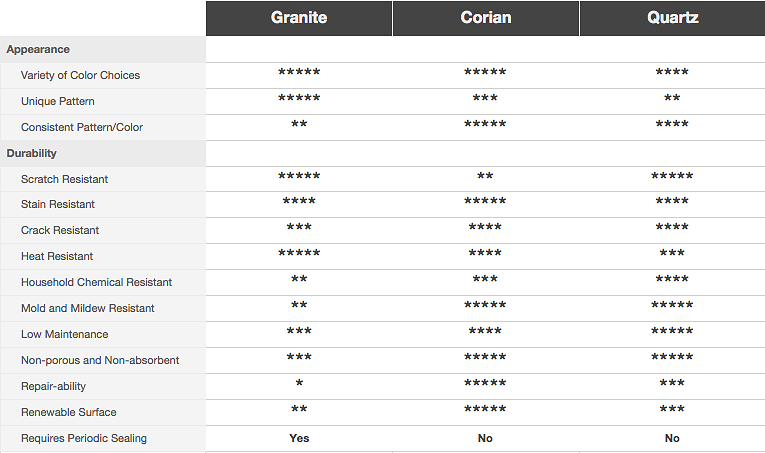 Researching and choosing a countertop surface that best fits your needs can be frustrating and time consuming, so we have done some of the work for you in the comparison chart below. If you need a little help to further focus your selection, think about how you use your kitchen or bathroom and what traits are important to you.